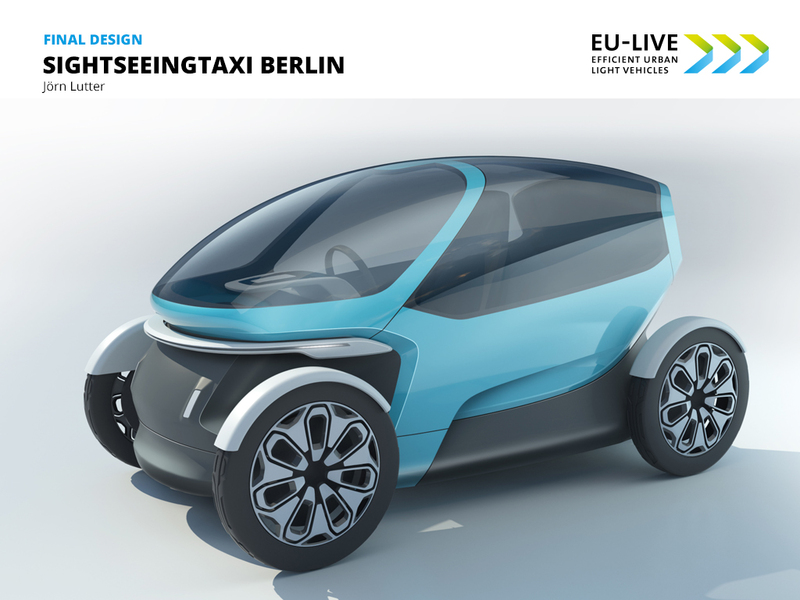 In order to tackle the future challenges of urban mobility in a comprehensive way, there is a substantial need for vehicles, which adapt to the increasing demand of ultra-light, highly energy-efficient and environment-compatible mobility. 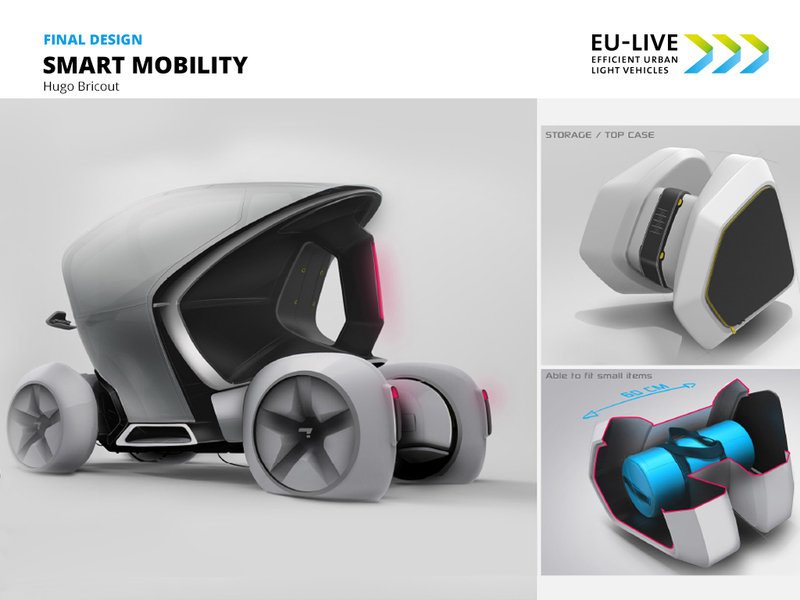 Making this vision come true, future calls for fresh and innovative ideas, which is what the International EU-LIVE Open Design Contest aimed for by asking young creatives from all over the world to contribute their approach on a design concept. 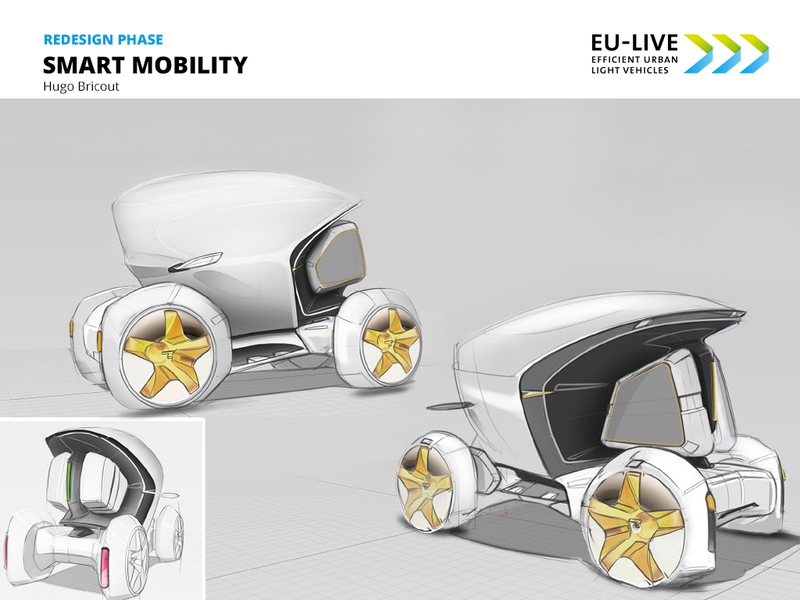 After the submission deadline has passed and the 6 finalists have been chosen, a Redesign Phase started, where we challenged the participants to lay their designs over a simplified CAD package model, which has been individually modified to each vehicle. Based on the results we conducted the evaluation process, where we assessed, whether each vehicle meets the exterior dimensions and offers enough space for passengers, crash elements and structural components. 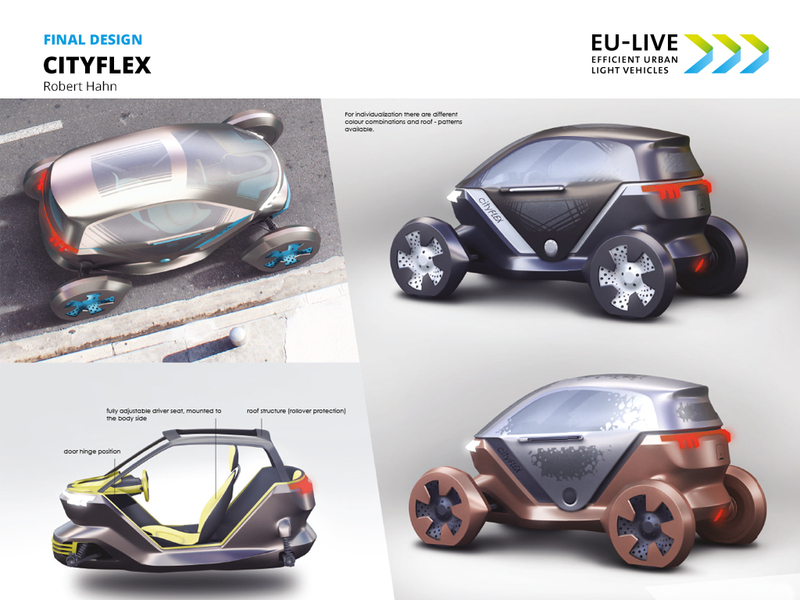 With his futuristic and original concept, Robert Hahn, a young Transportation Design student at HS Pforzheim, was rewarded the first place. 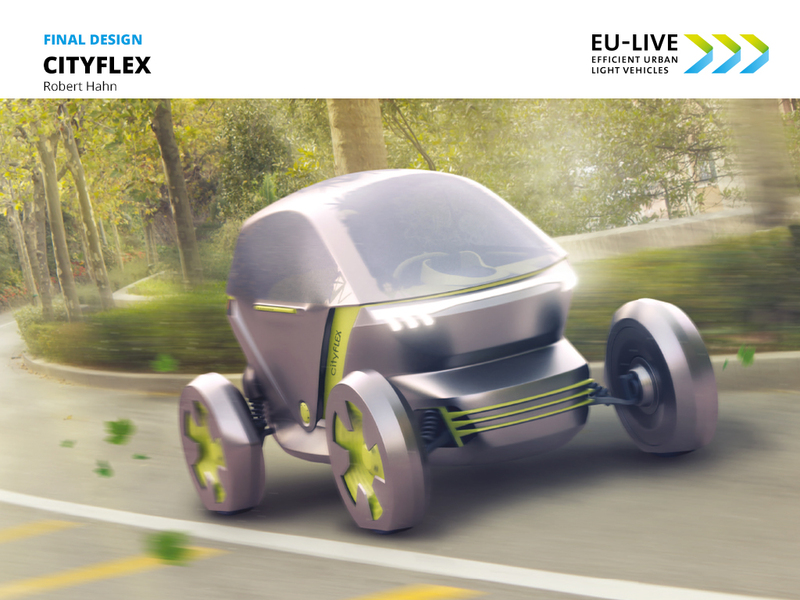 The “cityFLEX”, a one + one seater, is convincing due to its flexibility based on providing the opportunity to drive it in an open or closed mode. This concept greatly appeals to potential customer needs by enabling them to freely decide whether they want to store a great amount of luggage or take a second person with them. The cityFLEX proves to be a multifaceted and practical car, especially when it comes to finding a parking lot in the city. Moreover, the easy-to-clean interior provides the perfect pre-requisite for serving as a car sharing vehicle. 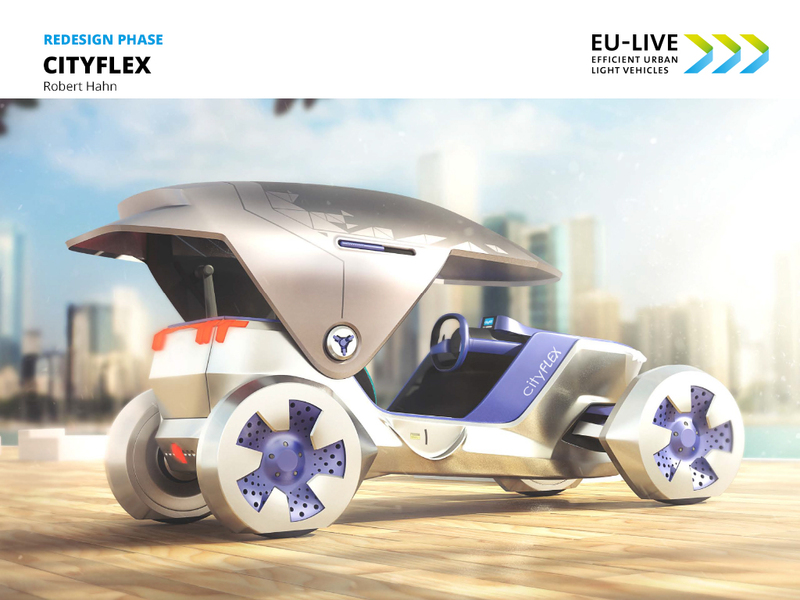 As the overall winning concept, cityFLEX, will be developed into a virtual prototype, which will also undergo a feasibility study to ensure a seamless implementation. 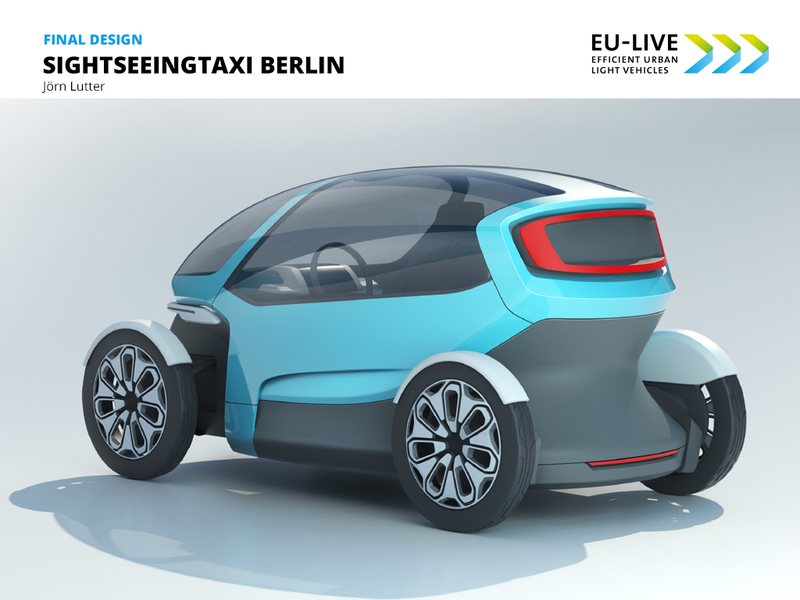 The second place goes to the outstanding concept SightseeingTaxi Berlin by Jörn Lutter, who thrilled the jury by presenting the idea of a versatile vehicle that combines the services of a taxi with the services of a tour guide. In fact, this concept provides the basis for a complete change in today’s urban transport and tourism system, which would enable tourists as well as interested locals to comfortably get to know the city while still reaching their desired destination. 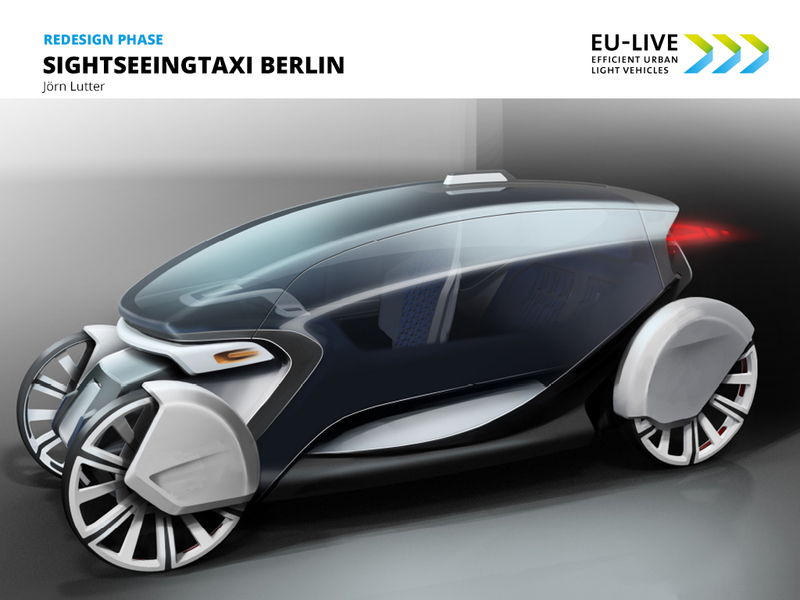 In an advanced development stage, the vehicle would have even provided the possibility to function autonomously. 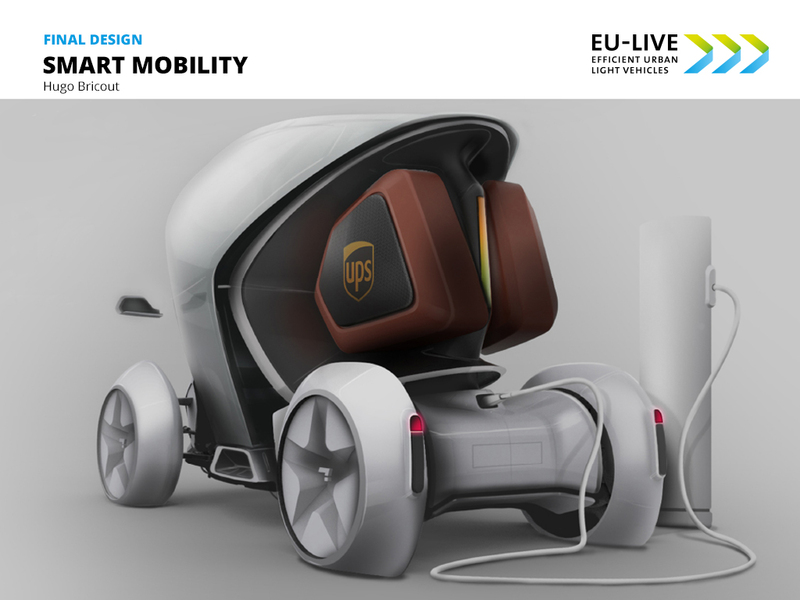 The French freelance designer Hugo Bricout was ranked third with his intriguing Smart Mobility concept, which delivers the perfect city compatible vehicle. Thanks to its scalable platform, it enables the user to reduce as well as to enlarge its size. In order to provide with the possibility of gaining more storage space and giving a second passenger a lift at the same time, there are topcases located outside the passenger compartment. This unique storage system not only equips the vehicle with more space but enables it to be used for car sharing.